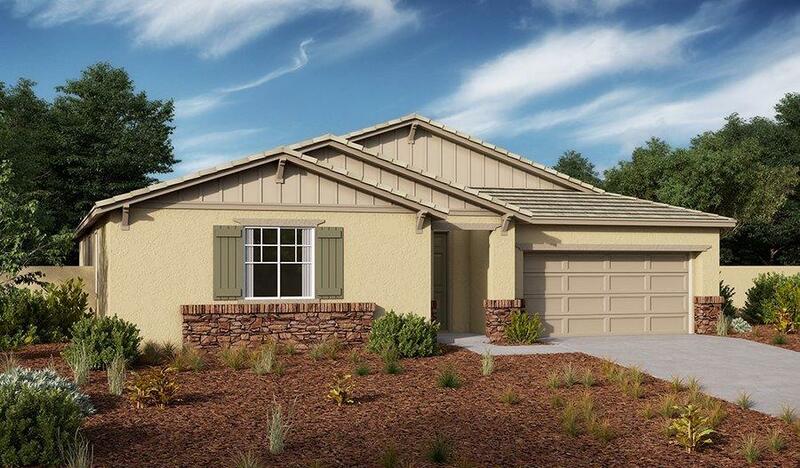 The spacious, ranch-style Paige plan boasts an open great room, inviting dining nook and a well-designed kitchen with a walk-in pantry and center island. 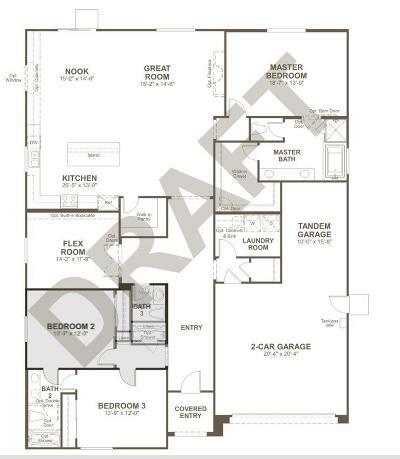 A flex room offers owners the ability to create living space that fits their lifestyle. Three inviting bedrooms, including a luxurious master suite with a large walk-in closet and soaking tub complete the home. 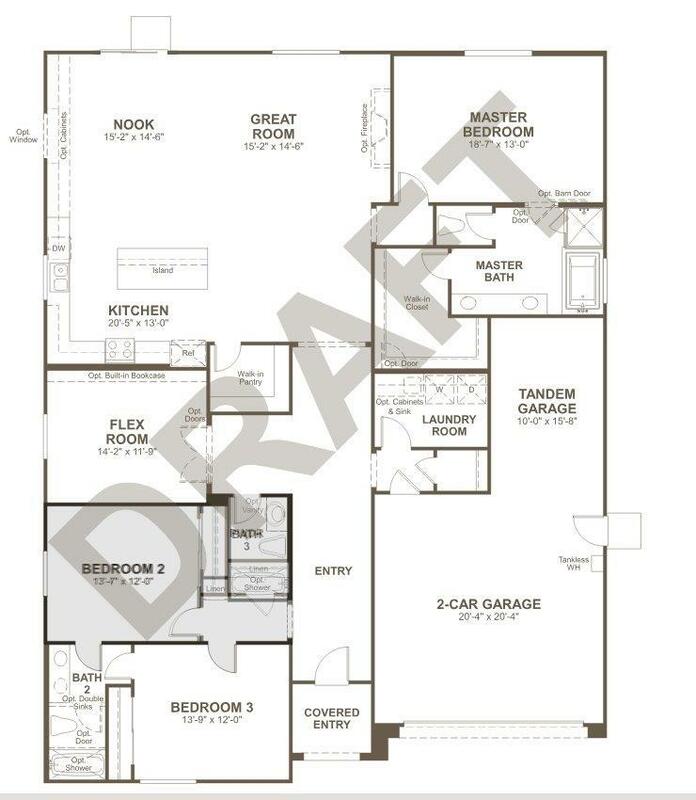 Personalize this plan with an additional bedroom and bath in lieu of the tandem garage space. Home estimated to be complete in 6 to 9 months. Elevation may be different than shown.